No one would blame you if your head was still spinning after last month’s mid-season finale of Agents of S.H.I.E.L.D.. In typical fashion, the series went out on a dynamic-changing high note leaving the titular agents facing what might just be the most destructive and powerful villain they’ve come up against thus far. Of course, as is also typical, the finale left fans with more questions than answers. Agent Coulson (Clark Gregg) crossed a serious line when he killed Hydra Director/Former S.H.I.E.L.D. agent Grant Ward (Brett Dalton) on the distant planet of Maveth, and his death gave the mysterious entity trapped on the planet a way back into our world. 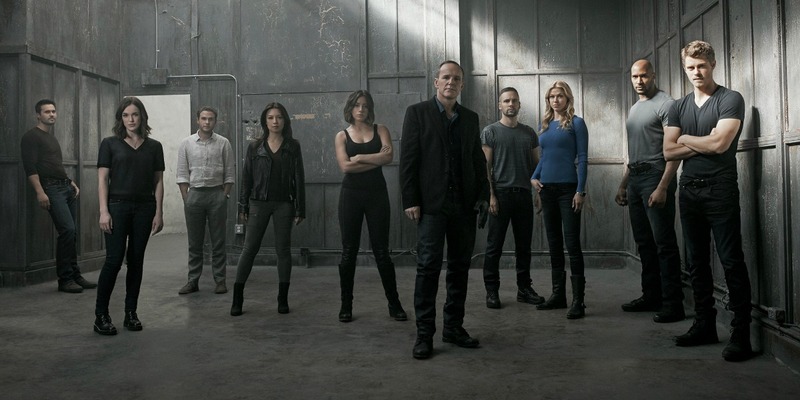 How will Coulson handle the psychological ramifications of murdering Ward? What is this strange entity that Hydra might owe its entire existence to? While the three month break in the season (which makes room for Agent Carter season 2) offers plenty of time and opportunity for speculation, there are now a few hints regarding what to expect when returns this March. "On the one hand, it means Coulson having crossed a line that I think he takes very seriously, which is, 'If you're trying to protect the world from evil and you then become evil, haven't you become part of the problem?' That's a little bit what's going on for him, even though I don't think that answer's cut-and-dry in this case." "One of the things about a director is he has to keep working. He has to present that nothing's wrong. Initially we won't necessarily know how much that has affected him. He definitely crossed a line and he knows this. He's been grappling with his humanity the whole time…We will definitely see the emotional consequences of that in the back half of this season. I think the first natural thing for any human to do is live in denial for a while and just plug ahead. You may see that across the board." The psychological ramifications of Coulson’s decision to kill Ward presents interesting possibilities for a character who has been positioned as a devotee of the rules. This season, of course, has seen his adherence to the traditional playbook get stretched somewhat, but never more than it did following Ward’s murder of Rosalind Price (Constance Zimmer, UnReal). Seeing his potential love interest die in front of him certainly changed Coulson’s approach to dealing with the former S.H.I.E.L.D. operative, and it would seem the consequence of this will continue to be felt when the series makes its return. "If she ever finds out, I think, if anyone should understand, it's May. She's been down that road before, doing something that she would absolutely never have thought to do or want to do but [has] to do, However, the only difference is that May, in making that decision, she still made it as a SHIELD agent…Coulson was much more emotional and revengeful. I think that's a big difference." "Suddenly it's about bigger things, so Hydra is about something even bigger than what I thought. I didn't even know the organization existed as long as it did. It's been around for centuries, trying to get this creature from another planet. There's a lot of much bigger things at play here. So that means more trouble for [Coulson]." “The lengths to which they went deep in the comic book universe and the origins of Hydra and revealing what it was on Maveth was pretty astonishing to me. The idea that the logo of Hydra wasn't just a metaphor; it was potentially based on a creature that could decimate an entire planet's worth of people and that that's now in the handsome guise of Brett Dalton coming back to mess with me, it's pretty terrifying. ... Hydra's got a lot of nastiness left in 'em." This is certainly an intriguing bit of information, especially taken in context with Gregg’s earlier statements that the second half of this season will "blow some minds" with its exploration of Hydra’s origins. It’s more than enough to pique fan interest in what might be in store as the series winds through the conclusion of its third season. The question that's still yet to be answered is just how the coming events might play into Captain America: Civil War. The last two seasons of Agents of S.H.I.E.L.D. have expanded on the roster of heroes and villains that inhabit the MCU, and the lid is getting harder to keep on. Might the impending battle between Coulson and Hydra, in some way, influence the new legislation that kickstarts the events of Civil War? Could it be that Coulson's Secret Warriors cause a tragedy similar to the events that kicked off the Civil War comics? It's certainly a possibility, and it's completely in keeping with Marvel's "it's all connected" philosophy. Of course, with Agents of S.H.I.E.L.D. not set to return until March, the wait is going to be long until we finally start seeing some answers. There’ll be plenty of time for speculation between now and then, and certainly more than a few hints will be dropped prior to the premiere. Screen Rant will certainly keep you updated on any new information that develops before March. Agent Carter season 2 premieres Tuesday, January 19th, 2016 at 9pm on ABC. Agents of S.H.I.E.L.D. season 3 returns on Tuesday, March 8th at 9pm on ABC.